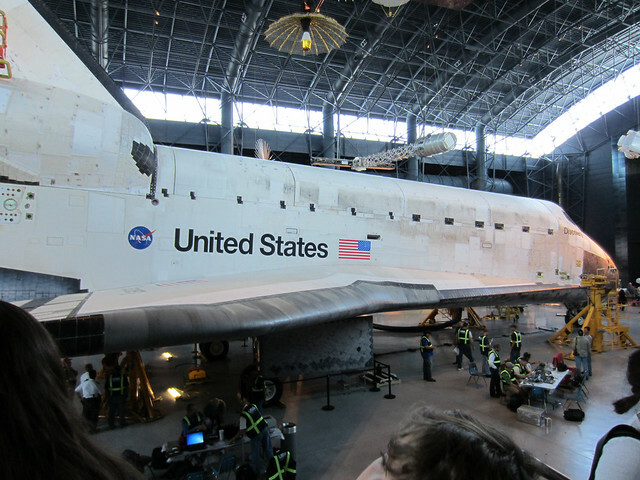 Both are on display at the Smithsonian Air and Space Museum in Washington DC and Chantilly, VA. But, in order to understand the gravity of that wooden box, you must know a bit about what was going on around the turn of the 20th century. 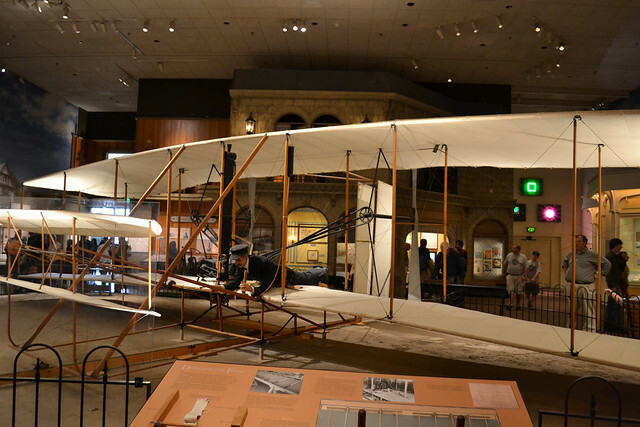 There were many players in the race to develop a stable aircraft and attain the first flight. All of those players were using the accepted aerodynamic data of the time. Scientific data that was previously published and generally accepted for years. And because this data was inaccurate, the various players tried and failed time and time again, including the Wright Brothers. But after a number of failures, the Wright Brothers were the first to question the accuracy of the data, and determined to succeed, created their own wind tunnel, and made their own measurements. 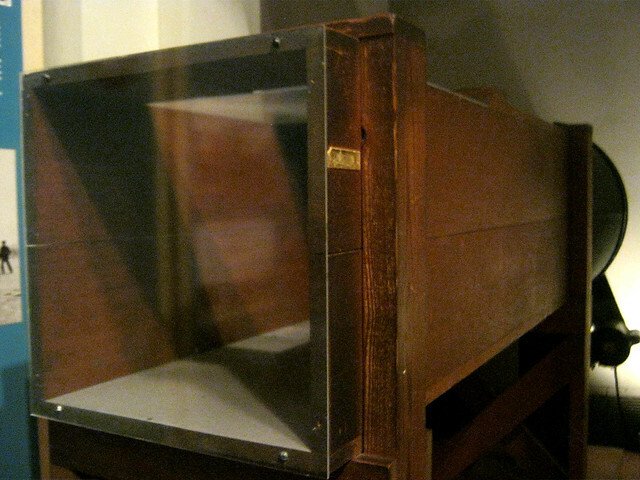 Not only did this little wooden wind tunnel allow them to prove the previous data false, but it ultimately led to the creation of the 1903 Wright Flyer, the first self propelled aircraft capable of stable sustained flight. This remarkable aircraft is also on display in the Smithsonian. Despite the advances of wind tunnels and technology, the data collected today does not differ much from the data they collected back then. And this set us on the path to the stars, and while the principles of flight as they developed them are not particularly relevant to rocketry, the space shuttle does rely heavily on them for returning to earth. It’s a nice booked to the process from start to finish. 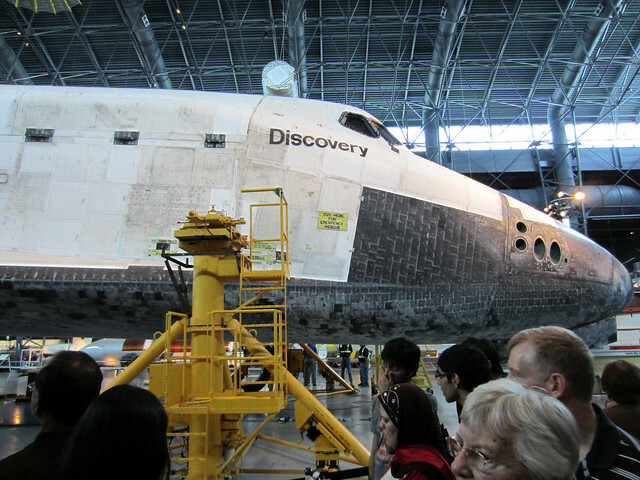 Discovery was retired recently and placed on display. 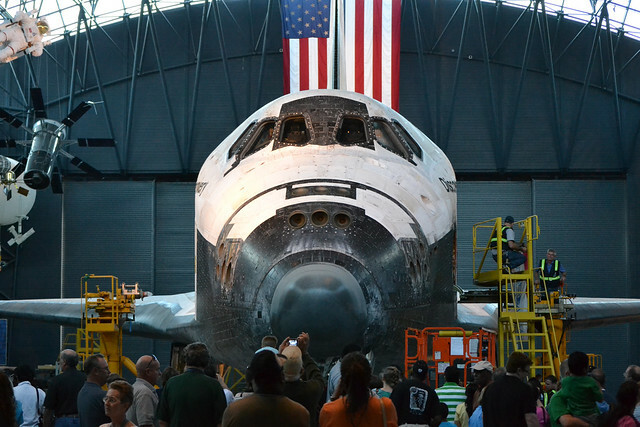 Having performed 38 missions and a total of almost a years time in space, it was the most active of all our shuttles. Personally I was not prepared for how giddy I would feel when seeing it in person. The whole experience made me want to run home and watch the Right Stuff again.